Former Hills star Lo Bosworth was spotted stopping by Lemonade Cafe recently in LA. She kept it casual in cropped pants, a loose v-neck top, strappy wedge heels and a magenta Balenciaga Arena Classic Velo bag ($1,445). 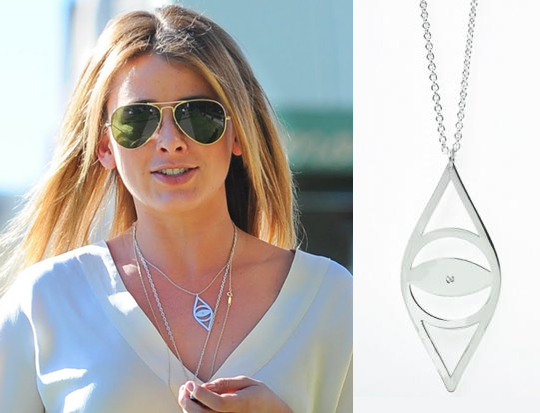 She accesorized with Ray Ban aviators and a Jennifer Zeuner Extra Large Eye with 3pt Diamond Necklace ($242).